Donate: If you’d like to support LivingWorks on an ongoing or one-time basis, you can mail checks made out to LivingWorks to 6808 N Ashland Blvd, Chicago, IL 60626. One-time and recurring donations can also be made through PayPal by clicking on the button below. To make a monthly donation, simply check the box that says “Make This Recurring (Monthly)” on the PayPal form. Thank you for your support! 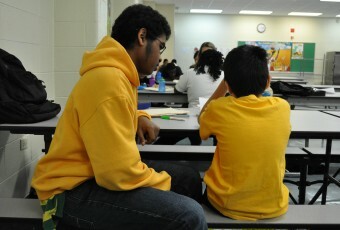 Volunteer: Would you like to build relationships with youth in Rogers Park or share a skill? LivingWorks is always looking for caring adults to serve as tutors and mentors, to guest-teach extra-curricular classes or to help us grow our capacity through sharing professional skills. Please contact us if you’d like to visit our program!